Made this script to install Pico-8 on my Linux dev machines as a standard application. Includes a .desktop entry so that it's recognised by the desktop environment as an installed app. 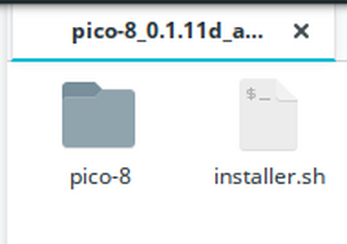 Download the script and put it beside the "pico-8" folder, then run it. It'll ask you for your password as it's being installed system wide.